Telemedicine is a hot topic in healthcare, with consumers more willing than ever to see a doctor remotely. In a national study of over 2,000 consumers, 64% said they would be willing to have a telehealth visit with their doctor via video. 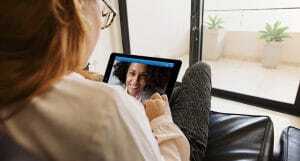 The Alliance for Connected Care concludes that a telehealth visit for acute care represents $126 in savings over an in-person visit. Furthermore, research on telemedicine also shows a pattern of positive outcomes for patients. The Alliance states that patient issues are resolved 83% of time during an initial telehealth visit. And more than half of doctors themselves are willing to see patients over video. Why then, haven’t more health systems and individual physicians incorporated this means of delivering care into their practice models? While no single factor accounts for the lag, arguably none has had as big an impact as the confusion surrounding provider reimbursement for these visits. Lack of understanding about how each of the three major payer types—Medicare, Medicaid, and commercial payers—reimburse for telemedicine visits has understandably prevented many providers and delivery systems from making informed decisions about adopting this technology. This post will explain how each major payer type makes decisions around reimbursement and clarify when telemedicine visits are covered. Beyond providing this important knowledge foundation, it will also reveal trends toward increased levels of reimbursement—especially in the commercial sector. Physicians today can feel positive about bringing this powerful tool into their practices as telemedicine continues to receive increased levels of reimbursement. With 49 million Americans enrolled in Medicare, it’s important for providers to understand how this program makes determinations about telemedicine reimbursement. Generally speaking, fee-for-service Medicare reimbursement is dictated by four key areas: the patient setting, the type of technology, geography, and provider type. Medicare requires that the patient setting, termed the “originating site,” be a clinical site such as a doctor’s office or hospital. However, multiple congressional efforts have focused on expanding Medicare payment and demonstrating the clinical and financial value of serving this population through telehealth technologies. The Alliance for Connected Care estimates that choosing telemedicine visits over in-person treatment for acute care when medically appropriate would actually result in costs savings for Medicare—$45 per visit—a convincing argument for defining the patient setting more broadly. In fact, as part of its Next Generation ACO initiative, Medicare will actually remove this restriction for participating ACOs, arguably the first step toward lifting this restriction for its entire population. Medicare is quite forward-thinking when it comes to the technology, defining reimbursable telemedicine as “interactions between a healthcare professional and a patient via real-time audio-video technology” (CFR Title 42, Part 410.78, “Telehealth Services.”). This definition is in line with the model policy of the Federation of State Medical Boards (FSMB), which represents the 70 state medical and osteopathic regulatory boards. Because the FSMB is considered the ultimate arbiter of quality in medical practice and regulation, its recommendation carries considerable weight, setting the standard for the industry. Medicare is also the most focused on geographic restrictions, while many state Medicaid programs and private insurers are more likely to see telemedicine as location-agnostic. Geography refers to the type of area in which the patient resides (i.e., urban, rural, etc.). Medicare only covers telemedicine when the patient is presenting from a defined rural area termed a Professional Shortage Areas or a county outside of a defined Metropolitan Statistical Area. While this is currently a barrier to telemedicine adoption, the Next Generation ACO initiative will also remove these restrictions, painting a hopeful picture for future policy change. Medicare scores well here, reimbursing a reasonable number of defined provider types for telemedicine encounters. 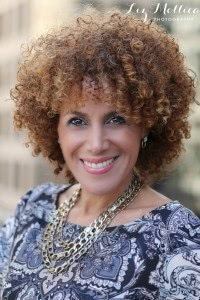 These include physicians, nurse practitioners, psychologists, social workers, and dietitians, among others. While the current telemedicine landscape for fee-for-service beneficiaries is limited, primarily due to “originating site” restrictions, many Medicare Advantage enrollees are currently covered for telemedicine services, regardless of location. Commercial plans have added telemedicine as a supplemental benefit, realizing the clear value and benefit that exist for the Medicare population. This is an extremely positive signal for the future, as these at-risk, capitated plans are not known to make investments that don’t yield results. Forty-eight state Medicaid programs and the District of Columbia have some type of telemedicine coverage. However, Medicaid differs from Medicare in that its policies vary from state to state; each state has flexibility to determine how it will reimburse for telehealth, and many have gone well beyond the scope of Medicare. Each year, additional states expand their scope of reimbursement, and new proposals are filed constantly. Here are some key high-level insights, although it’s important for medical professionals and administrators managing the systems they work in to review state-specific resources. The American Telemedicine Association’s (ATA) report, State Telemedicine Gaps Analysis, is one particularly comprehensive and accurate resource. The following overview of Medicaid policies is broken down by the determining factors of patient setting, technology, and provider type. 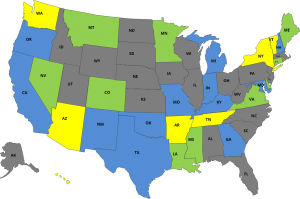 According to the ATA’s report, 24 states and the District of Columbia do not specify a patient setting as a condition for reimbursement, and 25 states recognize the home as an originating site. This means that many Medicaid patients do not have to travel to a traditional healthcare setting, allowing them to take advantage of the convenience afforded by telemedicine. While some state Medicaid regulations do still require a telepresenter, the overall trend is favorable for reimbursement across diverse patient settings. Similar to the patient setting, no one policy dictates reimbursable technology across all state Medicaid programs. A broad span of modalities—from telephone to video to remote monitoring and store-and-forward technologies—is in play. 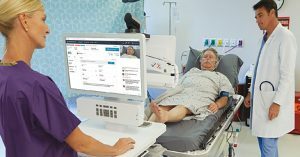 According to the ATA, states are slowly but surely embracing a variety of new technologies for delivery of telemedicine. While states can vary with regard to the provider types they reimburse, generally the outlook is positive. Fifteen states place no restriction on the provider type, according to the Berkeley Research Group. In addition, only four states restrict reimbursement to physicians. There is also an overall encouraging trend toward Medicaid coverage for mental and behavioral health services delivered via telemedicine. Commercial payers—that is, private insurers—have been most aggressive in reimbursing for telehealth visits. Many national plans embrace this healthcare innovation and have been steadily broadening coverage through partnerships with telemedicine services companies. American Well, for example, now covers 50 million commercial lives for telehealth visits through 30 separate major health plans. This is happy news for doctors and the systems in which they work. Their patient populations are steadily gaining telemedicine benefits, and companies like American Well offer real-time eligibility and claims processing, letting the provider know prior to starting a telemedicine visit if the patient’s plan will reimburse them for their services. Regulation affects the commercial payer realm as well. 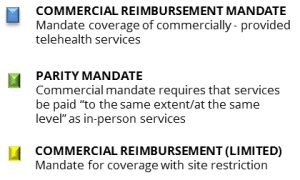 Today, 29 states and the District of Columbia have parity laws that mandate commercial payers provide comparable coverage and reimbursement for telemedicine services as in-person services. This is great news for providers, as it suggests that over time telemedicine will gain parity footing with in-person consultations across the board. Beyond these laws, the high potential for cost savings in the commercial sector—an average of $126 per visit for acute care—has incentivized many plans to cover telemedicine. All of this is not to say that the commercial realm is without issue. Payers are not universally compliant with parity regulations, and few of these laws bear teeth in terms of required dates for compliance. Telehealth coverage has grown so fast in the commercial realm because visits are less expensive, so parity reimbursement could have a chilling effect on health plan promotion of telemedicine for patients. Commercial insurers are also still grappling with issues such as building telemedicine codes into claims systems and determining their level of coverage for various specialist services, from teledermatology to telepsychiatry. Despite all this, reimbursement through private insurance companies is the least confusing and the most promising. 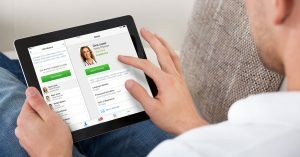 With national health plans such as United Health Care and Anthem advertising their telemedicine visits and coverage on television and the web, it’s clear that some powerful players stand behind telemedicine and are dedicated to making it work as an integrated part of the healthcare system, not just for patients, but also for providers. Telemedicine has huge potential to improve access to quality care and decrease costs, and to make healthcare encounters more convenient and satisfying for providers and patients. Understanding how and when providers are reimbursed for delivering healthcare through telemedicine can be challenging, but not impossible. Breaking it down by each type of payer makes it easier for providers to gain clarity and make informed decisions about telemedicine. And there’s more good news—there are positive indicators for reimbursement across all three major payer types, and restrictions on reimbursement continue to be lifted as industry advocates work with federal and state government and commercial payers to integrate telemedicine into our healthcare system. Not too long ago, there were a number of states where it was illegal to practice telemedicine. Today, 47 states are “green” for telemedicine. Industry advocates are working just as hard on the issue of reimbursement. Doctors who want to adopt telemedicine have support—both for understanding reimbursement today and changing reimbursement tomorrow.